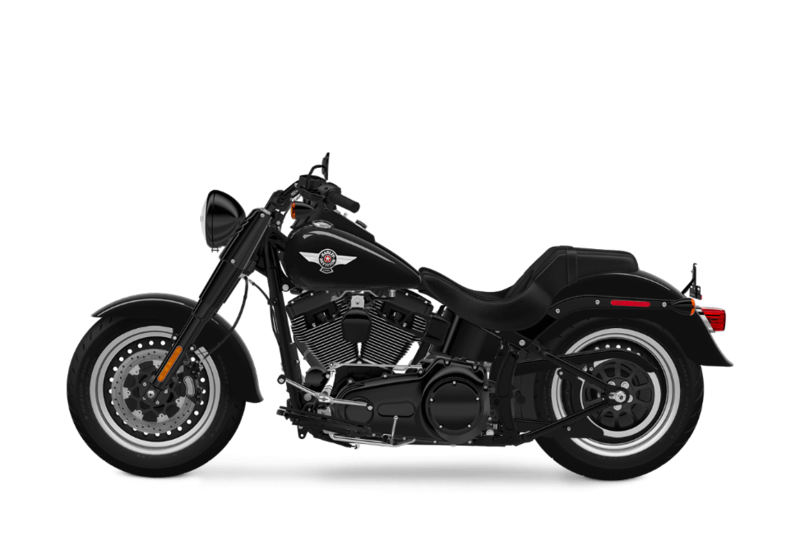 The Harley-Davidson® Fat Boy® S is a high-powered addition to the Harley-Davidson® S series. 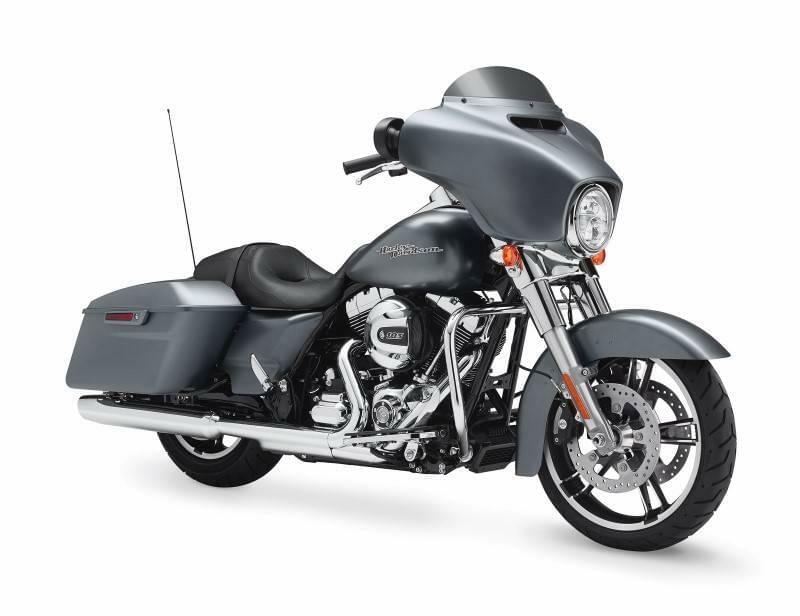 The Fat Boy® S is a lot like the Fat Boy®, but it adds many distinctive styling touches and an even more powerful V-Twin engine. Simply put, it’s the ultimate fat custom experience. 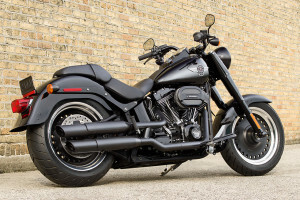 If you’re a fan of the Fat Boy® but have always wanted more power, then this is the bike you need to cruise the streets of Los Angeles and the Inland Empire area. 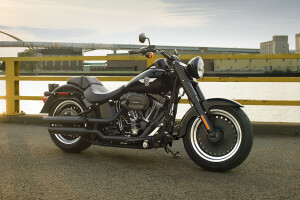 Check it out today here at Riverside Harley-Davidson®. The Fat Boy® S is a mean, stripped down, blacked out bike that delivers custom style and a lot of attitude. 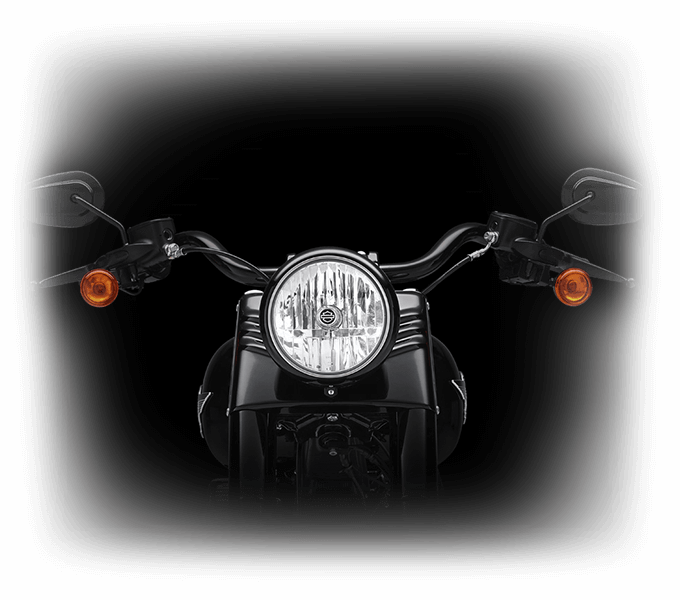 Dark Design: You get a gloss black console, black brake levers, black clutch assemblies, black handlebar and riser, black triple clamp, and black headlamp trim. Blacked Out Exhaust: The unique blacked out 2-into-2 exhaust even includes blacked out mufflers. 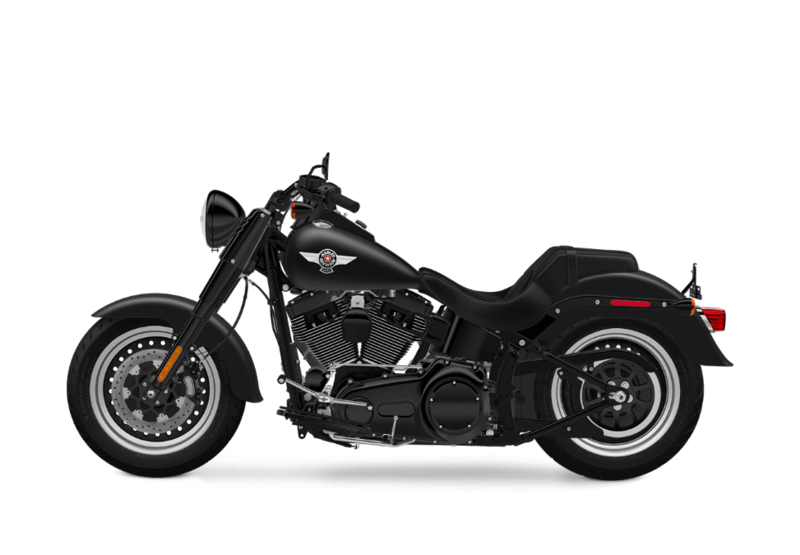 Fat Features: Fat 17-inch wheels made with black die-cast aluminum are wrapped in big, beefy tires. You’ll find a 140mm tire in front and a 200mm tire in back. Black Bullet Hole Disc Wheels: These distinctive, flat black disc wheels with vintage-style bullet holes cut a distinctive profile. Fat Custom Style: Recalling the “hardtail” choppers of the ’60s and ’70s, the Fat Boy® S relives the glory days of custom street bikes with brash style and aggresive details. Fat Custom Tank Details: Some unique features offered by the Fat Boy® S include leather tank strap, chrome side badges, and blacked out ignition switch console. 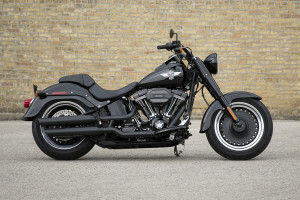 Hidden Rear Shocks: The Fat Boy® S comes standard with a hidden rear shock that combines the comfort and control you want with the slammed rigid bike style you love. 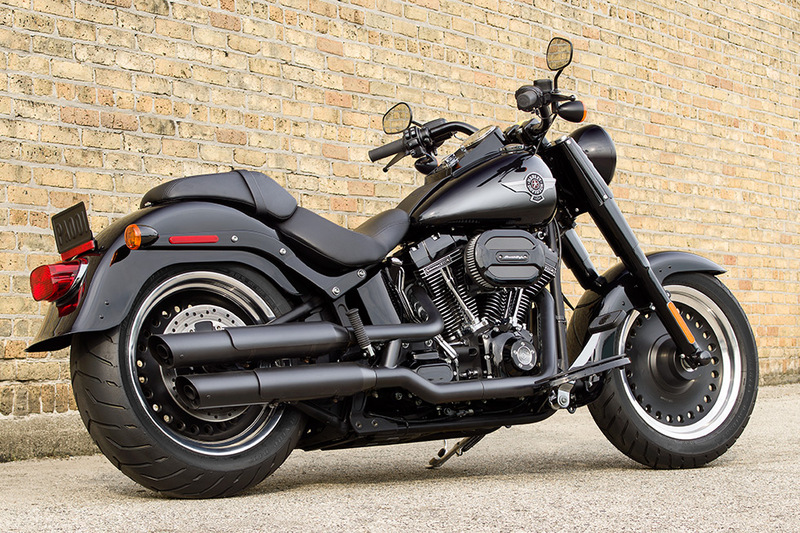 One of the big advantages of the Fat Boy® S is the powerful Screamin’ Eagle 110TM. 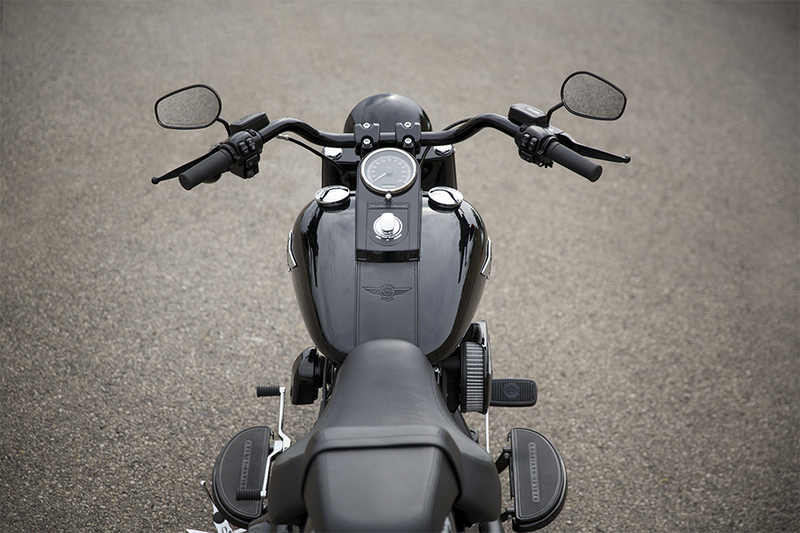 Ventilator Intake: This big air intake gulps down air for the Screamin’ Eagle® 110TM. Screamin’ Eagle® Air-cooled, Twin Cam 110BTM Engine Power: Have you ever asked for less power from your motorcycle? Probably not. 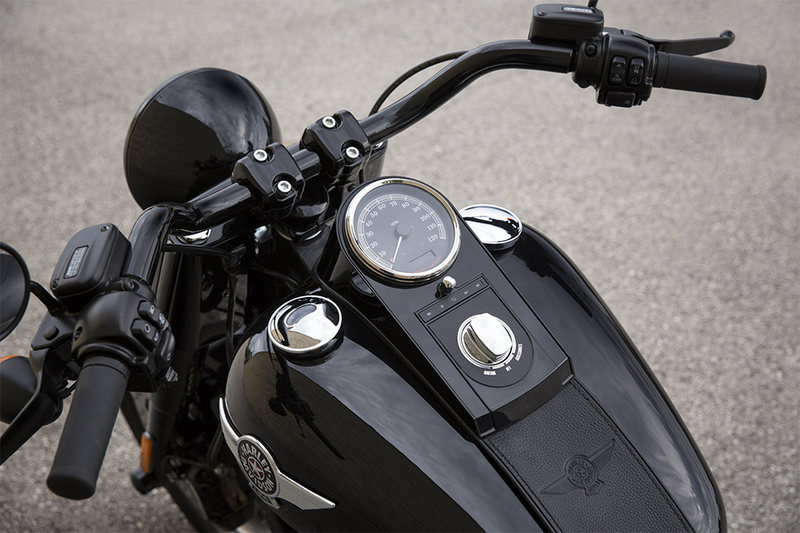 The Twin Cam 110BTM offers more muscle than almost any other engine offered by Harley-Davidson®. 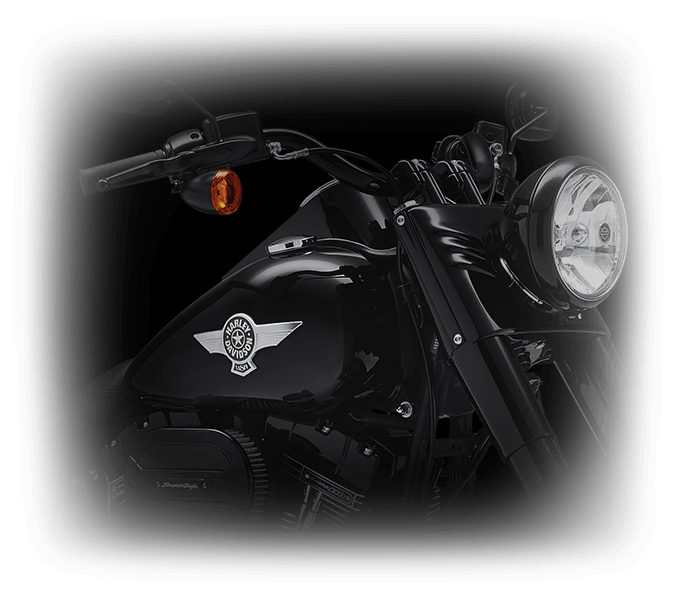 Screamin’ Eagle® Air-Cooled, Twin Cam 110BTM Engine Heritage: With a century of experience, you know that Harley-Davidson® delivers durable, high performance engines that people trust mile after mile. The Screamin’ Eagle® is a continuation of that high-octane tradition. Screamin’ Eagle® Air-Cooled, Twin Cam 110BTM Engine Innovation: Counterbalancing offers an exceptionally smooth ride, and you also get lightweight components for better heat management, along with fuel injection for more power and efficiency. Screamin’ Eagle® Air-cooled, Twin Cam 110BTM Engine Style: You wouldn’t want anybody to mistake the Screamin’ Eagle® for anything else. 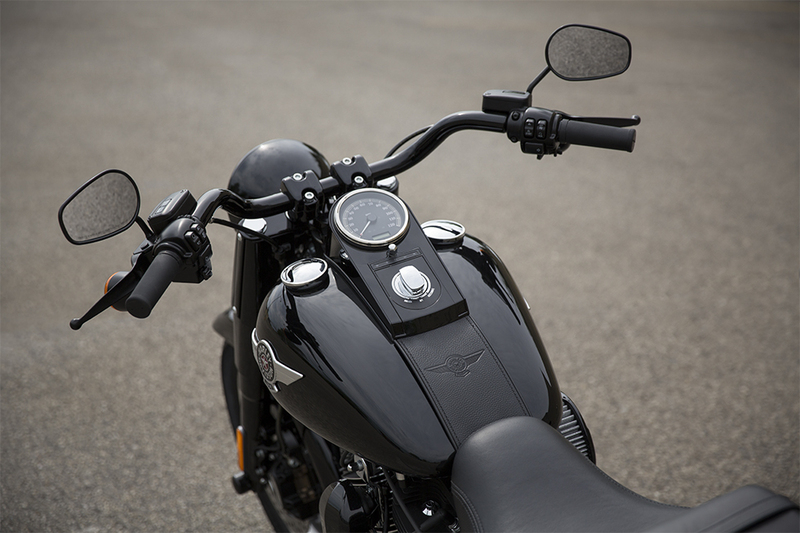 That’s why it gets big, bold custom badges and plenty of chrome for that unique Harley-Davidson® look. Six-Speed Cruise Drive® Transmission: After you shift quickly through the gears and get up to speed, you’ll enjoy a quiet, smooth, and downright relaxed highway ride. Kick it down into fifth and you can blast past that big rig on the freeway with no trouble at all. The Fat Boy® S combines classic styling with some of the most advanced features around. 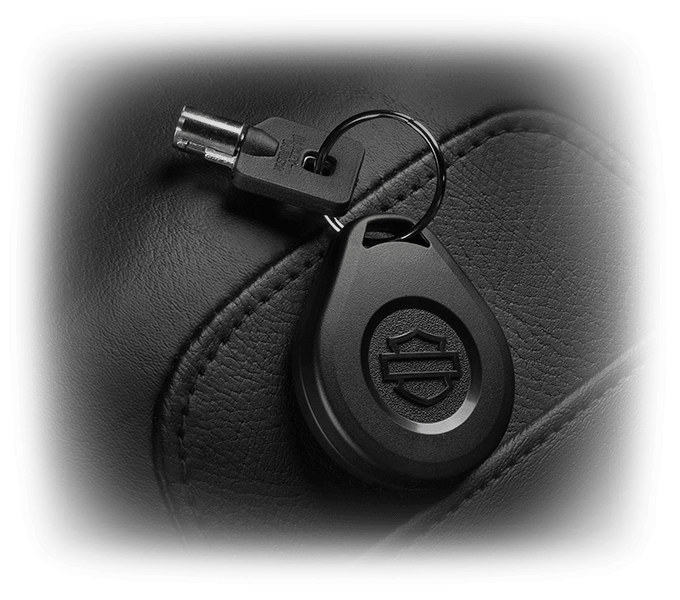 H-D® Smart Security System: You wouldn’t want anybody messing with your Fat Boy® S when you’re not looking. 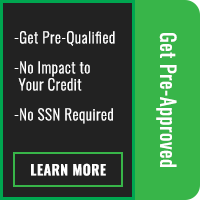 That’s why it comes standard with a security system that automatically activates when you step away. 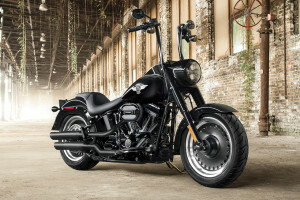 Anti-Lock Brakes: Stopping is just as important as accelerating, and that’s why the Fat Boy® S has powerful brakes equipped with an antilock brake system. It helps eliminate wheel lockup and improves stopping power in all conditions. It’s not all about power and style. You also want a bike with fantastic handling, and the Fat Boy® S delivers just that. Front Brake System: The Fat Boy® S sports more powerful brakes than ever. Bigger pistons and rotors add up to more stopping power with less lever force. Dunlop® Tires: Big 140mm and 200mm tires provide exceptional grip for cornering performance. You can also expect superior vibration damping for a smooth ride. New Ergonomically Designed Hand Controls: Harley-Davidson® did their research to figure out where to put the hand controls for maximum comfort and confidence. 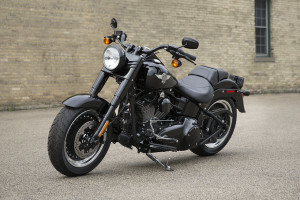 New Electronic Throttle Control and Cruise Control: A quick responding electronic throttle with cruise control comes standard with the Fat Boy® S. That makes it easy to to hit the open road. 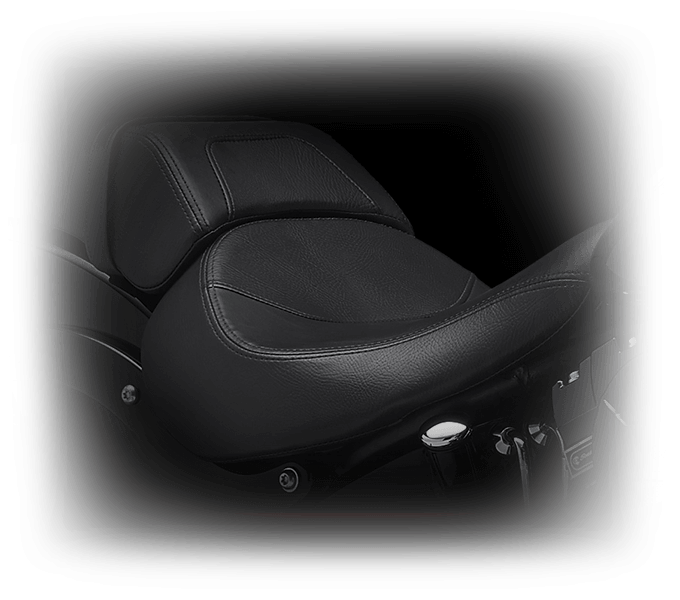 The Fat Boy® S is equipped with features to keep you comfortable even on the longest rides. 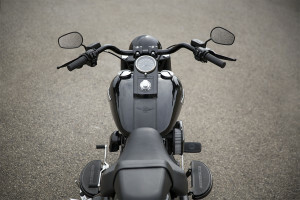 Low Profile Black Handlebars: These beefy bars deliver impressive control and an aggressive riding position. Narrow Seat: This narrow, deep, bucket seat provides the perfect position, and the shape offers both support and relief from pressure points that can make you uncomfortable. Full-Length Rider Footboards: Drop your boots where you want them, because these full length footboards have got you covered. Rubber isolation helps cut down on vibration to ensure your comfort.